Effect of bioclimatic area on the essential oil composition and antibacterial activity of Rosmarinus officinalis L.
a b s t r a c t This study assessed the occurrence of an enhancing inhibitory effect of the combined application of Origanum vulgare (OV) and Rosmarinus ofﬁcinalis (RO) essential oils against bacteria associated to minimally processed vegetables using the determination of Fractional Inhibitory Concentration (FIC) index, kill-time assay in vegetal broth and application in vegetable matrices. Moreover, it was determined chemical composition of the essential oils and their effects alone and in mixture on sensory characteristics of minimally processed vegetables. Carvacrol (66.9 g/100 g) was the most prevalent compound in OV essential oil, while for RO was 1.8-cineole (32.2 g/100 g). OV and RO essential oil showed MIC in a range of 1.25–5 and 20–40 μL/mL, respectively. FIC indices of the combined application of the essential oils were 0.5 against Listeria monocytogenes, Yersinia enterocolitica and Aeromonas hydrophilla suggesting a synergic interaction. Only for Pseudomonas ﬂuorescens FIC index was 0.75 purposing additive effect. Application of the essential oils alone (MIC) or in mixture (¼ MIC + ¼ MIC or ¼ MIC + ½ MIC) in vegetable broth caused signiﬁcant decrease (p b 0.05) in bacterial count over 24 h. Mixture of essential oils reduced (p b 0.05) the inocula of all bacteria in vegetable broth and in experimentally inoculated fresh-cut vegetables. Similar efﬁcacy was found to reduce the autochthonous microﬂora in vegetables. Sensory evaluation of vegetables sanitized with essential oils revealed that the scores of the most evaluated attributes fell between like slightly and neither like nor dislike. The combination of essential oils at sub-inhibitory concentrations could mean an interesting approach to sanitize minimally processed vegetables. © 2011 Elsevier Ltd. Open access under the Elsevier OA license. 2009). The inefﬁcacy of hypochlorite in eliminating bacteria in vegetables could be due to different factors: an aqueous hypochlorite solution may not wet the hydrophobic surface of the waxy cuticle of vegetables; the setting of a bioﬁlm could protect the microorganisms against the lethal effects of the hypochlorite; and the contact with host tissue may inactivate hypochlorite (Carrasco, Pérez-Rodríguez, Valero, García-Gimeno, & Zurera, 2008). Contamination by pathogenic bacteria, their survival to disinfection processes and multiplication over refrigerated storage are serious concerns regarding MPF, since these products are consumed without major processing. Currently there is an increasing consumer pressure for replacing chemically synthesized antimicrobial by natural alternatives in order to ensure food safety (Xu et al., 2007). The development and application of more natural sanitizers with a broad spectrum antimicrobial activity and no toxicity for human in MPF providing enhanced sensory quality and extended shelf-life is of interest to catering industry and consumers (Molinos et al., 2009). This trend prompts a particular increased interest in the use of essential oils as antimicrobial compounds to be applied in MPF. Early studies showed that Origanum vulgare L. (oregano) and Rosmarinus ofﬁcinalis L. (rosemary) essential oils possess interesting antimicrobial activity against spoilage and pathogenic food-related microorganisms (Oliveira, Stamford, Gomes Neto, & Souza, 2010; Souza, Barros, Conceição, Gomes Neto, & Costa, 2009). Early in vitro assays with essential oils showed they had promising antimicrobial properties, however when applied to food matrices amounts required to substantially inhibit the bacterial growth were often higher than would be organoleptically acceptable (Naveena, Muthukumar, Sen, Babji, & Murthy, 2006). Regarding that these high concentrations is likely to impart a certain ﬂavor to foods, the addition of sub-inhibitory amounts of essential oils in mixtures may be a way to provide the balance between sensory acceptability and antimicrobial efﬁcacy. Here we report the investigation of an enhancing antibacterial effect when the essential oils from O. vulgare and R. ofﬁcinalis were used in combination against autochthonous microﬂora and some bacteria associated with the contamination of minimally processed vegetables in food-based broth and food matrices. Moreover, the inﬂuence of these essential oils on the sensory attributes of minimally processed vegetables during refrigerated storage was investigated. 2. Material and methods 2.1. Essential oils The essential oils from O. vulgare L. (batch OREORG01; density at 20 °C: 0.90; refractive index at 20 °C: 1.47) and R. ofﬁcinalis L. (batch ROSTUN04; density at 20 °C: 0.94; refractive index at 20 °C: 1.51) were obtained from Aromalândia Ind. Com. Ltda. (Minas Gerais, Brasil) and its quality parameters were described in an accompanying technical report. This supplier extracts essential oils on an industrial scale by steam distillation. The essential oils were assayed at concentrations ranging from 80 to 0.003 μL/mL. Essential oils solutions were prepared in nutrient broth (Himedia, India) using bacteriological agar (1.5 g/L) as stabilizing agent (Souza et al., 2009). loopfull of the culture was diluted in sterile saline solution (8.5 g/L) to have a ﬁnal concentration of approximately 108 colony forming unit per mL (cfu/mL) adjusted according to the turbidity of 0.5 McFarland standard tube. 2.3. Preparation of vegetable broth Iceberg lettuce (Lactuca sativa L.), beet (Beta vulgaris L. var. cicla, L.) and rocket (Eruca sativa L.) were purchased from a local wholesale market in João Pessoa (Brazil) on the day of harvest and transported within 20 min under refrigerated conditions. A mixture (1:1:1) of the samples containing 200 g of the vegetal material was mashed with 800 mL of distilled water using a domestic blender and vacuum ﬁltered using Whatman no. 1 ﬁlter paper. The obtained material was sterilized by ﬁltration using a Millipore 0.22 μm. 2.4. Essential oil chemical analysis The chemical composition of the essential oils was analyzed using a gas chromatograph (GC) ﬁtted to a mass spectrometer (MS) (Shimadzu GC/MS-QP5050A) operating in electron-impact (70 eV, m/z 50–400) mode; fused silica capillary column used was 5% phenyl dimethylpolysiloxane (DB-5MS, J & W Scientiﬁc, Folsom, CA) with length 30 m, 0.25 mm i.d., 0.1 μm ﬁlm thickness. The analyze of the oil was performed employing the following conditions: sample preparation 1 μL in 1 mL of hexane; injection volume 1 μL; split ratio 1:5; helium ﬂow rate 1.6 mL/min; temperature programme ramp from 60 °C to 200 °C with a gradient of 5 °C/min (holding the initial and ﬁnal temperature for 5 min); injector temperature 260 °C; detector temperature 280 °C; mass spectra: electron impact 70 eV; mass scanning rate: 40–550 amu; scan time: 0.5 s. The identiﬁcation of the essential oil components was performed by retention indexes and comparing their mass spectra with a data bank (System GC-MS, Nist. 62 lib) and literature (Adams, 1995). Retention indexes were obtained by co-injection with a hydrocarbons (C9–C24) standard mixture using the van Den Dool & Kratz equation (van Den Dool & Kratz, 1963). 2.5. Determination of the minimum inhibitory concentration (mic) and minimum bactericidal concentration (mbc) MIC values of the essential oils were determined using the macrodilution in broth procedure. Four milliliters of double strength nutrient broth (Himeida, India) was inoculated with 1 mL of the bacterial inocula, mixed with 5 mL of two fold dilutions of the essential oil at concentrations ranging of 160 to 0.06 μL/mL, and followed by shaking for 30 s using vortex. The system was statically incubated for 24 h at 35 °C for L. monocytogenes and Y. enterocolitica, and at 28 °C for A. hydrophilla and P. ﬂuorescens. MIC was deﬁned as the lowest concentration of the essential oils required for preventing visible bacterial growth. Control ﬂasks without the essential oils were tested similarly (Nostro, Cannatelli, Musolino, Procopio, & Alonzo, 2002). The assays of synergy of the essential oils were carried out by determining Fractional Inhibitory Concentration (FIC) index in nutrient broth using the macrodilution method. FIC was calculated as follows: MIC of the combination of the essential oils/MIC of the essential oil alone. Essential oils were combined at MIC + MIC; MIC + ½ MIC; MIC + ¼ MIC; ½ MIC + ½ MIC; ¼ MIC + ¼ MIC; and ½ MIC+ ¼ MIC. Synergy was FIC ≤ 0.5; addition was FICN 0.5 to 4; and antagonism was FIC N 4 (Mackay, Milne, & Gould, 2000; Oliveira et al., 2010). The effect of the essential oils alone (MIC) and in mixture (¼ MIC + ¼ MIC or ¼ MIC + ½ MIC) on the cell viability of the bacterial strains in vegetable broth over 96 h was evaluated by the viable cell count procedure. For this, 4 mL of vegetable broth was inoculated with 1 mL of the bacterial inocula and 5 mL of the essential oils solutions alone (MIC) or in mixture (¼ MIC + ¼ MIC or ¼ MIC + ½ MIC) were added to the system and gently shaken for 30 s. The system was incubated at 37 °C for L. monocytogenes and Y. enterocolitica, and at 28 [°C for A. hydrophilla and P. ﬂuorescens. At different time intervals (0, 2, 4, 8 12 and 24 h), 1 mL of the suspension was serially diluted (10− 1–10− 5) in sterile peptone water (1 g/L) and inoculated on nutrient agar Petri dishes for 24 h at 35 °C or 28 °C (Barros et al., 2009). Control ﬂasks without essential oils were tested similarly. The results were expressed in log of cfu/mL. Sensory evaluation was performed by the acceptance test using 50 experienced members pre-selected according to interest and fresh leafy consuming habits. Panelists worked in individual booths with controlled conditions of temperature and lighting. Portions of 180 g of a pool of iceberg lettuce, beet and rocket (in a rate of 1:1:1) previously washed with sterile distilled water were shredded by glove-covered hands, submerged in 500 mL of the essential oils solutions alone (MIC) or in mixture (¼ MIC + ¼ MIC), softly rotated for 5 min at 28 °C using a sterile glass stem for 5 min, air-dried for 30 min in a bio-safety cabinet and put on plastic trays sealed with polypropylene ﬁlm. After 24, 48 and 72 h of storage at 7 °C, the panelists were served with 20 g of each sample coded with three-digit random numbers placed on small white plates and served immediately after being taken out of the refrigerated storage. Panelists were asked to use low-salt crackers and water to clean their palates between the assessed samples. The acceptance of appearance, texture, taste, odor and general perception were evaluated on a 5-point hedonic scale, ranging from 1 (dislike very much) to 5 (like very much). Still, the panelists were asked to assess the edge vascular tissue browning and overall browning of the vegetables. The purchasing intention was evaluated using a 5-point hedonic scale, ranging from 1 (certainly would not purchase) to 5 (certainly would purchase). Samples of vegetables without exposure to essential oils were tested similarly as control. 2.8. Effect of essential oils on survival of bacteria in fresh vegetable Portions of 90 g of a pool of iceberg lettuce, beet and rocket (in a rate of 1:1:1) previously washed with sterile distilled water were shredded by glove-covered hands and inoculated with the bacteria according to the following procedure: the portion of vegetables was submerged in 900 mL of the bacterial inoculum (L. monocytogenes, Y. enterocolitica, A. hydrophilla and P. ﬂuorescens, approximately 108 cfu/mL), softly rotated with a sterile glass stem for 5 min to ensure even inoculation, and airdried for 1 h in a bio-safety cabinet. After that, the vegetables were submerged in 250 mL of the solutions of essential oils alone (MIC) or in mixture (¼ MIC + ¼ MIC or ¼ MIC + ½ MIC) for 5 min at 28 °C. Then, a 25 g sample of the vegetables was aseptically taken and transferred into a sterile stomacher bag containing 225 mL of sterile peptone water (1 g/L) and homogenized for 60 s. Subsequently, a decimal dilution series (10− 2–10− 5) was made in the same diluent and bacteria enumeration was performed by pour-plating 0.1 mL of the appropriate sample dilution on Listeria Selective Agar Base + Listeria Selective Supplement II (Himedia, India) at 37 °C (24 h) for L. monocytogenes count; Yersinia Selective Agar Base +Yersinia selective supplement (Himedia, India) at 37 °C (24 h) for Y. enterocolitica count; Aeromonas isolation Medium + Aeromonas Selective Supplement (Himedia, India) at 28 °C (48 h) for A. hydrophilla count; and Pseudomonas Agar Base + CFC Supplement (Himedia, India) at 28 °C (48 h) for P. ﬂuorescens count (Xu et al., 2007). Control ﬂasks containing sterile distilled water were tested in the same way. The results were expressed in log of cfu/mL. 2.9. Effect of essential oils on survival of natural ﬂora in fresh vegetable Portions of 90 g of the lettuce, beet and rocket (in a rate of 1:1:1) were shredded by glove-covered hands and immediately submerged in 250 mL of the essential oils solutions alone (MIC) or in mixture (¼ MIC+ ¼ MIC or ¼ MIC+ ½ MIC), and softly rotated for 5 min at 28 °C using a sterile glass stem for ensure complete coverage and contact of surfaces with the essential oil solutions. Then, a 25 g sample of the vegetables was aseptically taken and transferred into a sterile stomacher bag containing 225 mL of sterile peptone water (1 g/L) and homogenized for 60 s. Subsequently, a decimal dilution series (10− 2– 10− 5) was made in the same diluent and enumeration of the natural ﬂora was performed by pour-plating 1 mL of the appropriate sample dilutions on Plate Count Agar (Himedia, India) at 37 °C (24–48 h) for total mesophilic bacteria, and at 6 °C (7 d) for psychotrophic bacteria; and by spread-plating 0.1 mL onto Eosyne-Metilen-Blue agar (Himedia, India) at 37 °C (24 h) for Enterobacteriaceae; and Sabouraud agar (Himedia, India) at 28 °C (48–72 h) for fungi. The results were expressed in log of cfu/mL (Lopéz-Galvéz et al., 2010). Control ﬂasks containing sterile distilled water were tested in the same way. Amounts lower than 0.1 g/100 g were excluded. time of incubation (h) For the essential oil from R. ofﬁcinalis the compounds found in higher amounts were 1,8-cineole (32.2 g/100 g), camphor (15.2 g/ 100 g), α-pinene (14.2 g/100 g), camphene (8.2 g/100 g), β-pinene (7 g/100 g) and limonene (5.6 g/100 g). The other indentiﬁed compounds were in a range of 1.1–3.3 g/100 g. 3.2. MIC of the essential oils Results of the MIC values of O. vulgare and R. ofﬁcinalis essential oils against bacteria associated to minimally processed vegetables are shown in Table 3. O. vulgare and R. ofﬁcinalis essential oil showed MIC in a range of 1.25–5 and 20–40 μL/mL, respectively. Highest MIC values for both oils were found against P. ﬂuorescens. MIC values of R. ofﬁcinalis were 8 to 16 fold-higher than those found for O. vulgare. 3.3. FIC index of the combined application of essential oils FIC indexes for the combined application of O. vulgare and R. ofﬁcinalis essential oils were 0.5 for L. monocytogenes, Y. enterocolitica and A. hydrophilla suggesting a synergic interaction of the essential oils against these bacteria. The oils inhibited the growth of these bacteria when applied in combination of ¼ MIC + ¼ MIC. Only for P. ﬂuorescens, the FIC index was 0.75 revealing an additive effect. Inhibition of P. ﬂuorescens was noted when the essential oils from O. vulgare and R. ofﬁcinalis were combined at ¼ MIC + ½ MIC, respectively. Test strains presented capability to grow at sub-inhibitory concentrations (½ MIC and ¼ MIC) of both oils when applied alone. Fig. 1. Survivors curves for L. monocytogenes ATCC 7644 in vegetable broth at 37 °C as a function of antimicrobial concentration: (■): control (0 μL/mL); (+): O. vulgare essential oil (MIC: 1.25 μL/mL); (○): R. ofﬁcinalis essential oil (MIC: 20 μL/mL; (▲): O. vulgare essential oil (¼ MIC: 0.31 μL/mL) + R. ofﬁcinalis essential oil (¼ MIC: 5 μL/mL). 3.4. Kill-time assays Kill-time of bacteria associated to minimally processed vegetables when exposed to O. vulgare and R. ofﬁcinalis essential oils alone and in combination in vegetable broth over 24 h is given in Figs. 1 to 4. The oils were assayed at their MIC and at ¼ MIC in combination, excepting against P. ﬂuorescens where the essential oil of R. ofﬁcinalis vulgare was tested at ½ MIC regarding the obtained results of the FIC index. Table 3 Minimum inhibitory concentrations of the essential oils from Origanum vulgare L. and Rosmarinus ofﬁcinalis L. against bacteria associated to minimally processed vegetables. Time of incubation (h) Fig. 2. Survivors curves for Y. enterocolitica ATCC 9610 in vegetable broth at 37 °C as a function of antimicrobial concentration: (■): control (0 μL/mL); (+): O. vulgare essential oil (MIC: 2.5 μL/mL); (○): R. ofﬁcinalis essential oil (MIC: 20 μL/mL; (▲): O. vulgare essential oil (¼ MIC: 0.62 μL/mL) + R. ofﬁcinalis essential oil (¼ MIC: 5 μL/mL). intense drop in the bacterial counts, which were between b1.0 and 2.7 log cfu/g. Bacterial counts found for the vegetables exposed to O. vulgare essential oil alone were signiﬁcantly lower (p b 0.05) than those obtained for the mixture of essential oils and for R. ofﬁcinalis essential oil alone. No difference (p N 0.05) was found for the counts in vegetables exposed to the mixture of essential oils and to R. ofﬁcinalis essential oil alone. time of incubation (h) Fig. 3. Survivors curves for A. hydrophilla INCQS 7966 in vegetable broth at 28 °C as a function of antimicrobial concentration: (■): control (0 μL/mL); (+): O. vulgare essential oil (MIC: 2.5 μL/mL); (○): R. ofﬁcinalis essential oil (MIC: 20 μL/mL; (▲): O. vulgare essential oil (¼ MIC: 0.62 μL/mL) + R. ofﬁcinalis essential oil (¼ MIC: 5 μL/mL). different (p b 0.05) to those obtained for the broth added of the essential oil from R. ofﬁcinalis alone and of both oils in mixture. The application of the essential oils alone or in mixture caused signiﬁcant decrease (p b 0.05) in bacterial counts over the evaluated intervals in comparison to the control assay. Effect of O. vulgare and R. ofﬁcinalis essential oils alone and in mixture on the counts of mesophilic bacteria, psychrotrophic bacteria, Enterobacteriaceae and fungi in hand-cut fresh vegetables are shown in Table 5. The application of essential oils alone (MIC values) or in mixtures (sub-inhibitory concentrations) caused signiﬁcant reduction (p b 0.05) of the microﬂora of fresh-cut vegetables. In accordance with the results found in experimentally inoculated vegetables, the application of O. vulgare essential oil alone caused the highest decrease in the counts of all assessed groups (or family) of microorganisms. No difference (p N 0.05) was found for the microbial counts in vegetables exposed to the mixture of essential oils and to R. ofﬁcinalis essential oil alone, except for mesophilic. 3.7. Sensory analysis Results of the analysis for sensory scores in vegetables sanitized with O. vulgare and R. ofﬁcinalis essential oils alone and in mixture are shown in Table 6. The mean of the most evaluated attributes fell between “like slightly” and “neither like nor dislike” on the hedonic scale for samples treated with essential oils alone and in mixture. At all assessed storage times no signiﬁcant difference was found for odor and taste in samples sanitized with the mixture of essential oils (¼ MIC + ¼ MIC) and control. Still, no signiﬁcant difference (p N 0.05) among these samples was found for all tested attributes after 72 h of storage. In general, small scores (p b 0.05) for vegetables sanitized with essential oils alone (MIC) were found after 72 h of storage. The time of storage showed no inﬂuence on the sensory attributes of vegetables sanitized with the mixture of essential oils, excepting to cut edge tissue browning. When asked to report about the purchase intention panelists revealed no difference (p N 0.05) only in respect of vegetables treated with the essential oils in mixture and the control after 48 and 72 h of storage attributing scores fell between “maybe would purchase/ maybe would not purchase” and “possibly could purchase”. time of incubation (h) Fig. 4. Survivors curves for P. ﬂuorescens ATCC 11253 in vegetable broth at 28 °C as a function of antimicrobial concentration: (■): control (0 μL/mL); (+): O. vulgare essential oil (MIC: 5 μL/mL); (○): R. ofﬁcinalis essential oil (MIC: 40 μL/mL; (▲): O. vulgare essential oil (¼ MIC: 1.25 μL/mL) + R. ofﬁcinalis essential oil (½ MIC: 10 μL/mL). Means in the same raw with different capital lowercase letters are signiﬁcantly different (p b 0.05) according to Duncan test. a ¼ MIC of O. vulgare + ¼ MIC of R. ofﬁcinalis for L. monocytogenes, Y. enterocolitica and A. hydrophilla; ¼ MIC of O. vulgare + ½ MIC of R. ofﬁcinalis for P. ﬂuorescens. additive interaction of these essential oils could be related to their similar composition possessing phenolics (carvacrol and thymol) as main compounds, suggesting a similar mechanism of action. It has been hypothesized that these phenolic active compounds, such as carvacrol and thymol, sensitize the membrane, and when saturation of these sites occurs, there is a gross damage and sudden collapse of integrity of the bacterial cytoplasmic membrane and leakage of vital intracellular constituents (Rhayour, Bouchikhi, Tantaoui-Elaraki, Sendide, & Remmal, 2003). Increased concentrations of phenolic compounds in growth media have not represented a progressive increase in their antibacterial activity because of the limitation of their complexation to available targets (amino acids and proteins) in the cells (Juven, Kanner, Schved, & Weisslowicz, 1994). Previous studies have reported enhanced antimicrobial effect of the combination of different concentrations of plant substances as essential oils, extracts or phytochemicals. Fu et al. (2007) noted increased antimicrobial effect caused by the combined use (1:5, 1:7 and 1:9) of the essential oils of Syzigium aromaticum (clove) and R. ofﬁcinalis against Candida albicans. In other study, Lin, Labbe, and Shetty (2005) noted increased inhibitory effect toward Vibrio parahaemolyticus when aqueous extracts of oregano and cramberry were tested in a ratio of 1:1 in comparison to their application individually. Regarding the results of percent of each compound in the essential oils and the MIC values it can be suggested an amount of carvacrol (66.9 g/100 g) and 1,8-cineole (32.2 g/100 g) in a range of 0.84– 3.35 μL/mL and 12.9–6.45 μL/mL in the solutions of the essential oils of O. vulgare and R. ofﬁcinallis, respectively, found as MIC. In the solutions used to the combination of ¼ MIC of O. vulgare and ¼ MIC of R. ofﬁcinallis the amount of carvacrol and 1,8-cineole was approximately of 0.42 and 5 μL/mL, respectively, as applied against Y. enterocolitica and A. hydrophilla, while to L. monocytogenes it was 0.31 and 4 μL/mL. In the case of combination of ¼ MIC of O. vulgare and ½ MIC of R. ofﬁcinallis as used against P. ﬂuorescens, the amount of carvacrol and 1,8-cineole was approximately of 0.84 and 20 μL/mL, respectively. It is difﬁcult to understand the exact mechanism for the establishment of the synergistic effect caused by the combined application of the essential oils of O. vulgare and R. ofﬁcinalis. Means in the same column with different superscript capital letters are signiﬁcantly different (p b 0.05) according to the Duncan test. a ¼ MIC + ¼ MIC. However, the increased antimicrobial activity caused by the mixture of these essential oils could be partially explained considering the different compounds found for each essential oil individually. Generally, essential oils having strongest antibacterial activity contain high amounts of carvacrol and/or thymol, such as O. vulgare. Regarding that hydroxyl groups enhance the antibacterial properties of essential oils, 1,8-cineole, which was the most prevalent compound in R. ofﬁcinalis, may have also contributed to the establishment of the fast and steady antimicrobial effect achieved with the combination of the oils (Elgayyar, Draughon, Golden, & Mount, 2000). Camphor, one of the main components of R. ofﬁcinallis, possesses oxygen functions in its structure and these functions are known to increase the antimicrobial properties of terpenoids (Naigre, Kalck, Roques, Roux, & Michel, 1996). Synergy is not only inﬂuenced for major compounds of essential oils, because minor components may have a more critical role to this effect than the main components mixed (Gutierrez et al., 2009). Hydrocarbons (such as α-pinene, camphene, myrcene, α-terpinene and p-cymene), which have very weak antibacterial activity, found in R. ofﬁcinalis in amounts higher than 1 g/100 g appear to swell bacterial cell to greater extent than carvacrol does, so these compounds enables carvacrol to be more easily transported into the cell (Gutierrez et al., 2008). Dorman and Deans (2000) state that as antimicrobial activity depends not only on chemical composition, but also on the lipophilic properties and the potency of functional groups or aqueous solubility, the mixture of compounds with different biochemical properties may enhance the efﬁcacy of essential oils. Regarding that the sensory shelf life of foods is determined as the time required for a sensory attribute to reach a certain intensity this study assessed the effect of the essential oils of O. vulgare and R. ofﬁcinalis alone (MIC) and in mixture (¼ MIC + ¼ MIC) on the sensory characteristics of minimally processed leafy vegetables over refrigerated storage. Although the essential oils when tested alone were effective in inhibiting the microbial growth in vegetables-based broth and in food matrices, their use to sanitize vegetables caused undesirable effects on sensory attribute mainly after 72 h of storage. Otherwise, the vegetables sanitized with mixture of the essential oils at sub-inhibitory concentrations showed a further acceptability of the most sensory attributes after 72 h of storage. The results presented in this study showed a synergistic effect of the essential oils of O. vulgare and R. ofﬁcinalis on the base of FIC index, kill-time assay and application in fresh leafy vegetables. These essential oils combined at sub-inhibitory concentrations were effective in inhibiting the growth and survival of pathogenic and spoilage microorganisms associated to minimally processed vegetables, although the underlying mode of action remains to be explored in the future. Sensory evaluation suggested that application of the essential oils in mixture at sub-inhibitory concentrations as sanitizer in vegetables would be acceptable to consumers, mainly when regarded a more extended storage time. Our ﬁndings reinforced that the mixtures of essential oils with different chemical composition at sufﬁcient low concentration could arise as an alternative to replace synthetic sanitizers classically applied in vegetables, and to reach the balance between the demand for the microbial safety and organoleptic acceptability. Acknowledgements The authors are grateful to Conselho Nacional de Desenvolvimento Cientíﬁco e Tecnológico — CNPq (Brazil) for the ﬁnancial support, and FACEPE — Fundação de Amparo à Ciência e Tecnologia do Estado de Pernambuco (Brazil) for scholarship of the ﬁrst author. References Abadias, M., Usall, J., Anguera, M., Solsona, C., & Viñas, I. (2008). Microbiological quality of fresh, minimally-processed fruit and vegetables, and sprouts from retail establishment. International Journal of Food Microbiology, 123, 121–129. Adams, R. P. (1995). Identiﬁcation of essential oil components by gas chromatography/ mass spectroscopy. Carol Stream: Allured Publishing Corporation. Barros, J. C., Conceição, M. L., Gomes Neto, N. J., Costa, A. C. V., Siqueira Júnior, J. P., Basílio Júnior, I. D., et al. (2009). Interference of Origanum vulgare L. essential oil on the growth and some physiological characteristics of Staphylococcus aureus strains isolated from foods. LWT-Food Science and Technology, 42, 1139–1143. Beuchat, L. R. (2002). Ecological factors inﬂuencing survival and growth of human pathogens. Microbes and Infection, 4, 413–423. Burnett, S. L., & Beuchat, L. (2001). Human pathogens associated with raw produce and unpasteurized juices, and difﬁculties in decontamination. Journal of Industrial Microbiology & Biotechnology, 27, 104–110. Burt, S. (2004). Essential oils: their antibacterial properties and potential applications in foods — A review. International Journal of Food Microbiology, 94, 223–253. Carrasco, E., Pérez-Rodríguez, F., Valero, A., García-Gimeno, R. M., & Zurera, G. (2008). Growth of Listeria monocytogenes on shredded, ready-to-eat iceberg lettuce. Food Control, 19, 487–494. Dorman, H. J. D., & Deans, S. G. (2000). Antimicrobial agents from plants: Antibacterial activity of plan volatile oils. Journal of Applied Microbiology, 83, 308–316. Elgayyar, M., Draughon, F. A., Golden, D. A., & Mount, J. R. (2000). Antimicrobial activity of essential oils from plants against selected pathogenic and saprophytic microorganisms. Journal of Food Protection, 64, 1019–1024. Fu, Y., Zu, Y. G., Chen, L. Y., Shi, X. G., Wang, Z., Sun, S., et al. (2007). Antimicrobial activity of clove and rosemary essential oils alone and in combination. Phytotherapy Research, 21, 989–994. Gutierrez, J., Barry-Ryan, C., & Bourke, P. (2008). The antimicrobial efﬁcacy of plant essential oil combinations and interactions with food ingredients. International Journal of Food Microbiology, 124, 91–97. Gutierrez, J., Bourke, P., Lonchamp, J., & Barry-Ryan, C. (2009). Impact of plant essential oils on microbiological, organoleptic and quality parameters of minimally processed vegetables. Innovative Food Science and Emerging Technology, 10, 195–202. Holley, R. A., & Patel, D. (2005). Improvement in shelf-life and safety of perishable foods by plant essential oils and smoke antimicrobials. Food Microbiology, 22, 273–292. Juven, B. J., Kanner, J., Schved, F., & Weisslowicz, H. (1994). Factors that interact with the antibacterial action of thyme essential oil and its active constituents. The Journal of Applied Bacteriology, 76, 626–631. Lin, Y. T., Labbe, R. G., & Shetty, K. (2005). Inhibition of Vibrio parahaemolyticus in seafood systems using oregano and cranberry phytochemical synergies and lactic acid. Innovative Food Science and Emerging Technology, 6, 453–458. Lopéz-Galvéz, F., Allende, A., Truchado, P., Martinez-Sánchez, A., Tudela, J. A., Selma, M. V., et al. (2010). Suitability of aqueous chlorine dioxide versus sodium hypochlorite as an effective sanitizer for preserving quality of fresh-cut lettuce while avoiding by-product formation. Postharvest Biology and Technology, 55, 53–60. Mackay, M. L., Milne, I. M., & Gould, I. M. (2000). Comparison of methods for assessing synergic antibiotic interactions. International Journal of Antimicrobial Agents, 15, 125–129. Martin-Belloso, O. (2007). Pros and cons of minimally processed foods. Trends in Food Science and Technology, 18, 582-582. Molinos, A. C., Abriouel, H., López, R. L., Omar, N. B., Valdivia, E., & Gálvez, A. (2009). Enhanced bactericidal acitivity of enterocin AS-48 in combination with essential oils, natural bioactive compounds and chemical preservatives against Listeria monocytogenes in ready-to-eat salad. Food Chemistry and Toxicology, 47, 2216–2223. Naigre, R., Kalck, P., Roques, C., Roux, I., & Michel, G. (1996). Comparison of antimicrobial properties of monoterpenes and their carbonylated products. Planta Medica, 62, 275–277. Naveena, B. M., Muthukumar, M., Sen, A. R., Babji, Y., & Murthy, T. R. K. (2006). Improvement of shelf-life of buffalo meat using lactic acid, cove oil and vitamin C during retail display. Meat Science, 74, 409–415. Nguyen-the, C., & Carlin, F. (1994). The microbiology of minimally processed fresh fruits and vegetables. Critical Reviews in Food Science and Nutrition, 34, 371–401. Nostro, A., Cannatelli, M. A., Musolino, A. D., Procopio, F., & Alonzo, V. (2002). Helichrysum italicum extract interferes with the production of enterotoxins by Staphylococcus aureus. Letters in Applied Microbiology, 35, 181–184. Oliveira, C. E. V., Stamford, T. L. M., Gomes Neto, N. J., & Souza, E. L. (2010). Inhibition of Staphylococcus aureus in broth and meat broth using synergies of phenolics and organic acids. International Journal of Food Microbiology, 137, 308–311. Ragaert, P., Verbeke, W., Devlieghere, F., & Debevere, J. (2004). Consumer perception and choice of minimally processed vegetables and packaged fruits. Food Quality and Preference, 15, 259–270. Rhayour, K., Bouchikhi, T., Tantaoui-Elaraki, A., Sendide, K., & Remmal, A. (2003). The mechanism of bactericidal action of oregano and clove essential oils and of their phenolic major components. 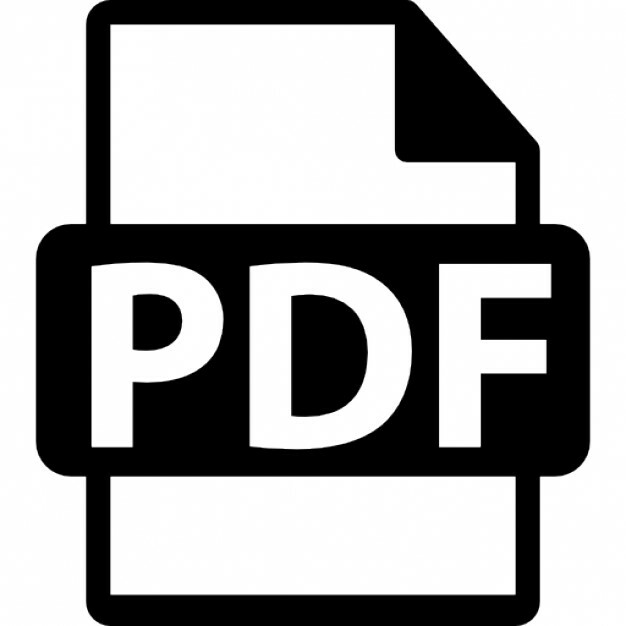 Journal of Essential Oil Research, 15, 286–292. Souza, E. L., Barros, J. C. B., Conceição, M. L., Gomes Neto, N. J., & Costa, A. C. V. (2009). Combined application of Origanum vulgare L. essential oil and acetic acid for controlling the growth of Staphylococcus aureus in foods. Brazilian Journal of Microbiology, 40, 387–393. van Den Dool, H., & Kratz, P. D. (1963). A generalization of the retention index system including line temperature programmed gas liquid partition chromatography. Journal of Chromatography, 11, 463–467. Xu, W., Qu, W., Huang, K., Guo, F., Yang, J., Zhao, H., et al. (2007). Antibacterial effect of Grapefruit Seed Extract on food-borne pathogens and its application in the preservation of minimally processed vegetables. Postharvest Biology and Technology, 45, 126–133. Report "Combined application of essential oils from Origanum vulgare L. and Rosmarinus officinalis L. to inhibit bacteria and autochthonous microflora associated with minimally processed vegetables"